Brooke Ligertwood, the worship leader for Hillsong Church, recently gained all kinds of attention when she compared writing a worship song to… going to the bathroom — really. 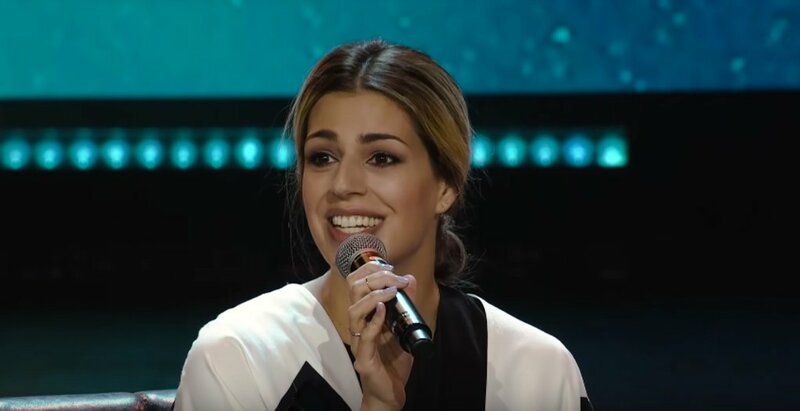 While at the VOUS Conference 2018, Ligertwood was interviewed by head pastor Rich Wilkerson Jr., who asked her about her songwriting process, praising her song, “Hosanna,” The Christian Post reported. Wilkerson introduced Ligertwood as a friend to the audience and then asked her to detail where she gets the inspiration for the chart-topping worship songs she writes. Ligertwood then dropped the bathroom analogy, which is interesting, to say the least. “Scripture is the answer to that. I love to read, I love the Bible — I have a bad back because of it,” she said, referring to all the translations she carries on a daily basis. Ligertwood explained that reading scripture daily, meditating on the scripture and “chewing” the scripture are what inspire her to place the right lyrics together. “Songs are not only like poo, but songs are almost like the ground that’s fertilized by the manure of life,” she added. Ligertwood pointed out that each and every song that Hillsong has come out with has been written by people who are not on staff to necessarily write, but each one knows the role music plays in furthering God’s kingdom. “When it comes to worship, I think that one of the special things about Hillsong Church is that every single one of our songwriters are people who are either serving in the church, volunteers or staff [but] none of us are on staff to write. We’re in the business of building the church,” she said. Brian Houston, the senior pastor at Hillsong Church in Austrailia pointed out recently that the church has theologians vet their songs to make sure that they are theologically accurate. “We do put more effort into the theology of our songs than we ever have before for that very reason [of being able to reach into the hearts of people around the world],” he said. “So we have people specifically who, every single song has to fit through a system of being tested by theologians. “There’s often a lot of grind, hopefully in a positive way, between the songwriter and getting it to a point where we feel like it’s not going to be too easily misrepresented,” he added. Hillsong, which started as a small church in Australia, now has churches all around the world, including New York City, Los Angeles, London, Barcelona, Paris, Bali and more. Many celebrities flock to Hillsong, whether it is in New York or Los Angeles. Justin Bieber and now-fiance Hailey Baldwin are attendees of the LA and New York church, where Bieber has a close friendship with head pastor Carl Lentz.